These siblings prove that blood is thicker than water. There's nothing like family. Relationships between brothers and sisters can be close— so close that they make for the perfect accomplices. Blood is really thicker than water in these five crimes committed by siblings. From the outside, Tasmiyah and Jasmiyah Whitehead (known as Tas and Jas) were the perfect teenagers. The identical twins from Georgia were honors students with bright futures ahead of them. But in 2010, the facade changed when the girls were arrested for stabbing their mother to death and leaving her in a bathtub. They eventually confessed, claiming their mother threatened them with physical abuse. Both received 30-year sentences. Does crime run in the family? Identical twins Stephen and Robert Spahalski were raised separately, but both committed heinous crimes. Stephen was convicted of manslaughter in 1971 while Robert killed multiple times starting in 1990, including choking his girlfriend to death. It was only when Stephen saw an article (given to him by a corrections officer) about Robert did he realize the connection between the two. "I thought I was the only murderer in the family," he said. At one point, the two were serving time in the same jail! 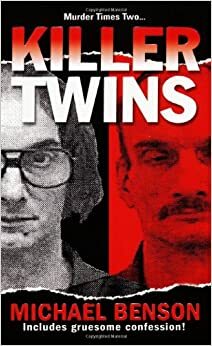 Their story inspired the book Killer Twins. One of the most notorious crimes in Ireland came at the hands of sisters Linda and Charlotte Mulhall. In 2005, they killed and dismembered their mother's boyfriend with a kitchen knife. The body of the victim, Farah Noor, was found in pieces by authorities, but his head was never found. The sisters claimed Noor had tried to make sexual advances on Linda, which set off the attack. Charlotte was sent to prison for life and Linda was convicted of manslaughter and sent away for 15 years. Children plotting to kill their wealthy parents is something out of Shakespeare. In 1994, fiction became reality with the crime of the Menendez Brothers. Lyle and Erik Menendez grew up in privilege, but brutally killed their parents Jose and Kitty. The brothers claimed it was over their father's longtime sexual abuse, but the prosecution argued that it was greed. Both brothers are serving life in prison without parole. Sometimes, being a twin has its benefits. In 2009, a $6.5 million jewelry heist looked like it would be solved by a DNA match to sweat found at the crime scene. The DNA drew authorities two German brothers (known as Hassan and Abbas O in the media) who had previous theft charges. Unfortunately, identical twins share DNA. Authorities weren't exactly sure which one did it, and couldn't charge either. "From the evidence we have, we can deduce that at least one of the brothers took part in the crime," they said in a court ruling, "but it has not been possible to determine which one."